Hans Essaadi, managing director of GAB said: “Oktoberfest is a popular festival that many look forward to annually. And so this year, we decided we are going to commemorate it in a big, extraordinary way; hence the grandeur you see before you. This feat definitely has been a rewarding challenge especially now that we’ve set a new record in The Malaysia Book of Records. “Having organised the festival successfully for six years, this is an undeniably proud moment for us here at GAB. We are thrilled to bring you a bigger and better Oktoberfest celebration this 2014. 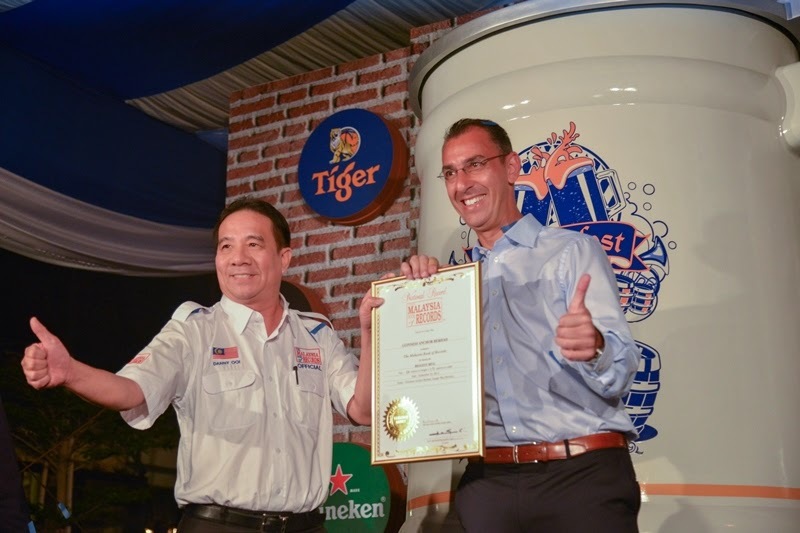 Look out for Malaysia’s Biggest Mug as it travels across the country next month,” he said at the launch held at the brewery’s tavern. 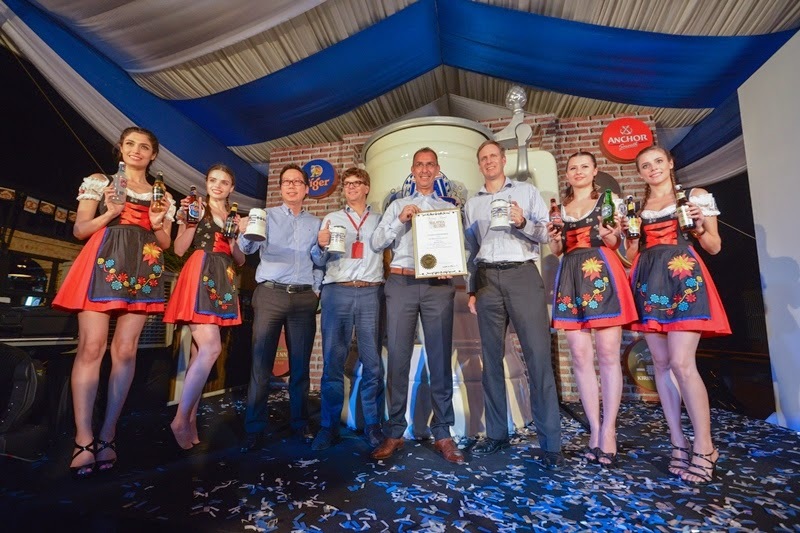 Attendees at the media launch were given a glimpse of what’s in store throughout the month of October as they indulged in popular German fare, enjoyed the traditional Oompah band, participated in beer stein race, and were enthralled by magic tricks. The Biggest Mug which took about a month to complete, is made out of fibre glass. 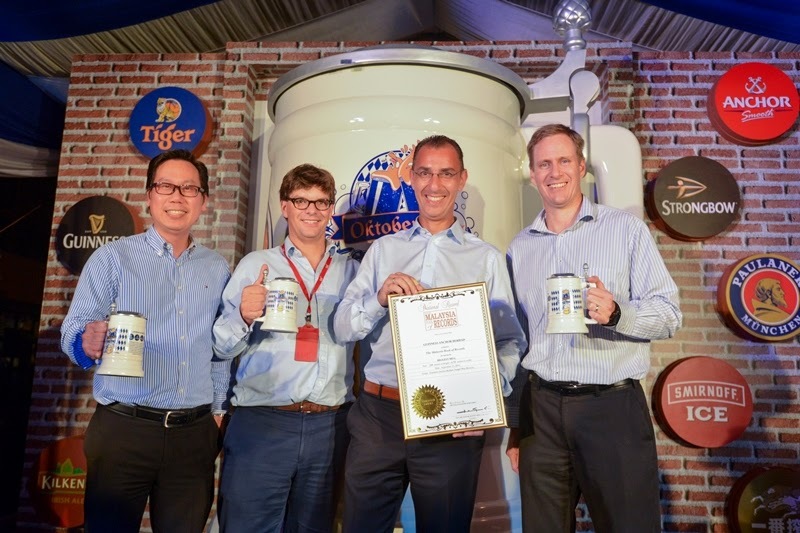 The giant vessel, which can actually hold liquid, will be travelling the peninsular so consumers can have a closer look and partake in Malaysia’s Biggest Mug “Guess the Litre” challenge. The top 5 participants who provide the correct or closest estimated volume of liquid the receptacle can hold, wins a year’s supply of Tiger Beer. As for the hand-held version, the GAB Oktoberfest mug is available in two designs. 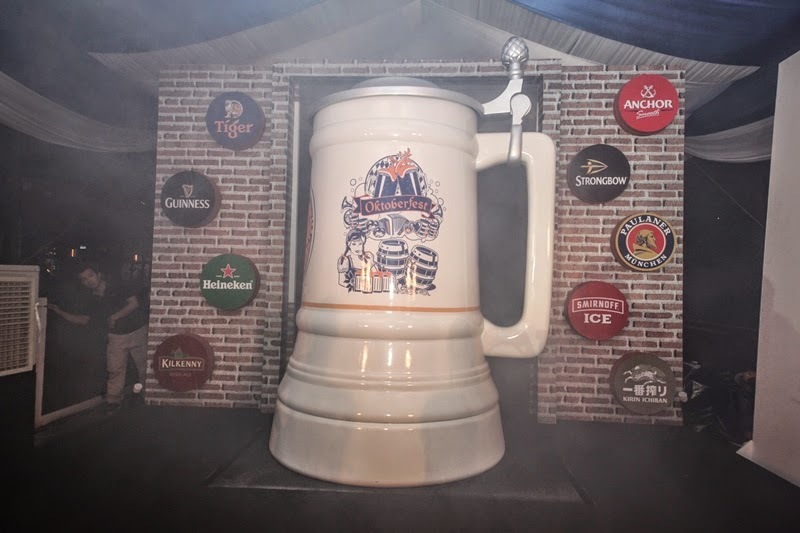 To collect, simply buy four pints or two jugs or two buckets or a tower of either of the participating brands (Tiger, Guinness, Anchor, Heineken, Kilkenny, Kirin, Smirnoff, Strongbow, and Paulaner) for one Oktoberfest mug. Prost to your love of beer.